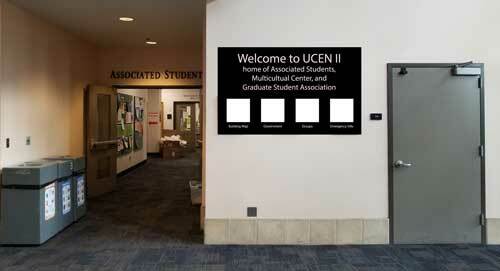 Associated Students is considering a touch screen in the downstairs lobby. We’d like to know what you think. Please fill out our anonymous 4 question survey – guaranteed to be easier than your finals next week! Think you know UCSB history? 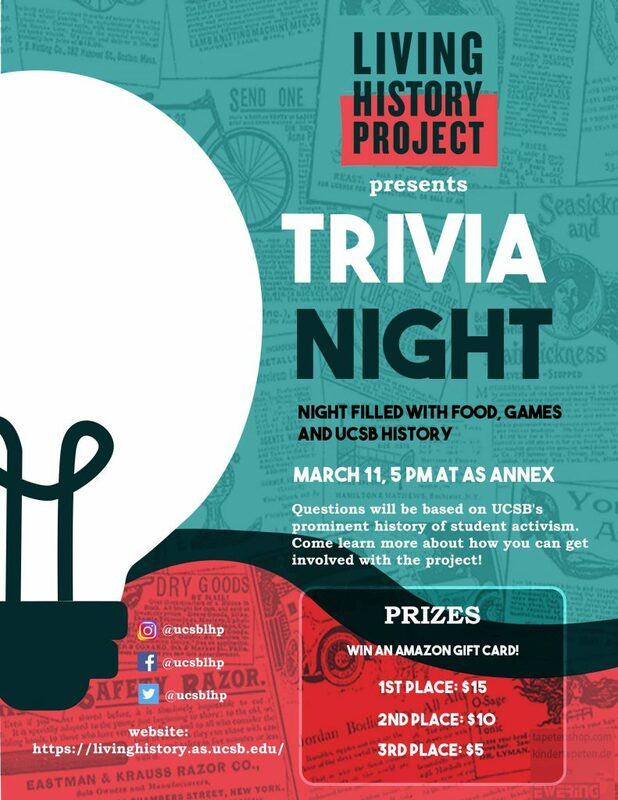 Come out to the Living History Project Trivia Night! Gain first-hand insight through Daily Nexus articles and Special Collections Research into the origins of Take Back The Night and KCSB as well as protests in response to the revocation of Affirmative Action. So study up and come to the AS Annex on March 11th at 5PM to take a look at our new articles, play some Living History Trivia, eat some pizza, and learn more about the history of student activism at UCSB! 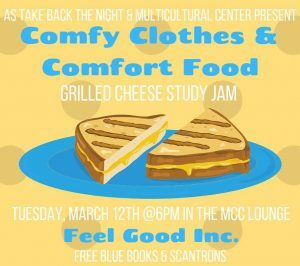 It’s almost finals week gauchos- LETS GET THIS BREAD!🍞Come to the MCC Lounge on 3/12 @6pm in your comfiest clothes and join us for a study jam! FREE grilled cheese, blue books, and scantrons will be provided! 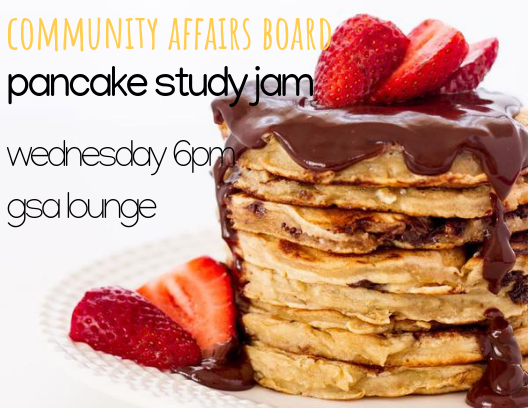 Come out to the IV Community Room on Wednesday 3/13 for a study jam with the Office of the Student Advocate! 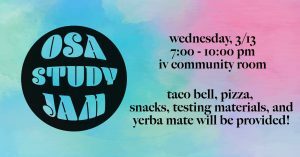 Taco bell, pizza, snacks, testing materials and yerba mate will be provided. 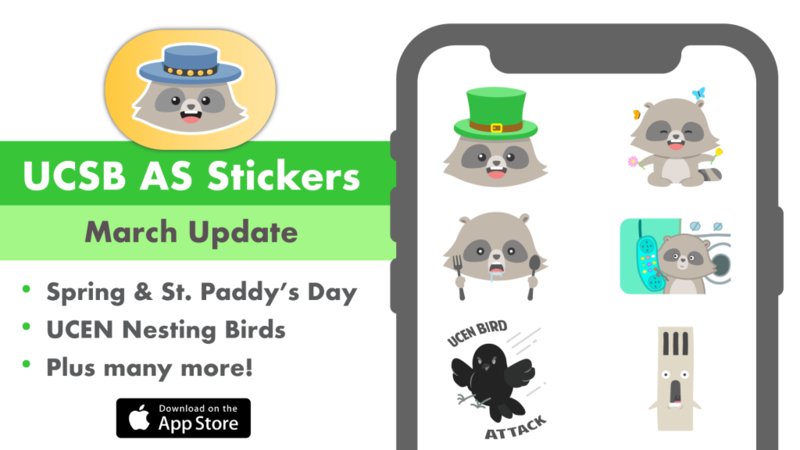 You: how do I use the cute stickers from your sticker pack? 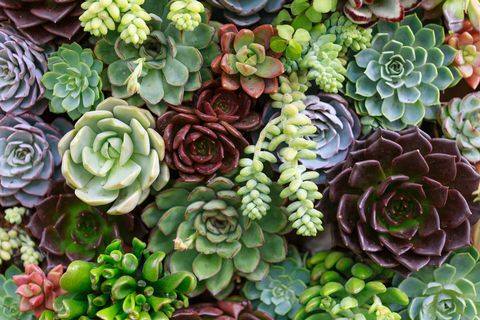 Come de-stress with the A.S.Transfer Student Alliance by potting your own succulent! Dead week doesn’t mean you gotta be dead! Fuel up on some pancakes before you get back to studying. Tonight Wednesday 3/13 6pm in the GSA lounge.